Now a standard part of the imaging protocols at many practices, digital panoramic x-rays provides a large amount of diagnostic information and great efficiency. When compared with film-based panoramic x-rays, today’s digital panoramic systems are far faster and capture the images with lower radiation exposure for the patients, not to mention the fact that it’s far easier to store and share the digital images. There are systems available to fit in just about any dental practice, and many digital panoramic units allow for optional cephalometric imaging and upgrades to 3D cone beam imaging. 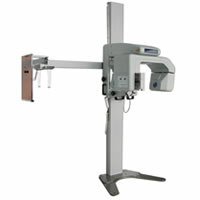 Take a look at the variety of digital panoramic units and find a perfect fit for your practice.